As always, the Apple Watch unveiling was on everyone's watch list. They just unveiled it. 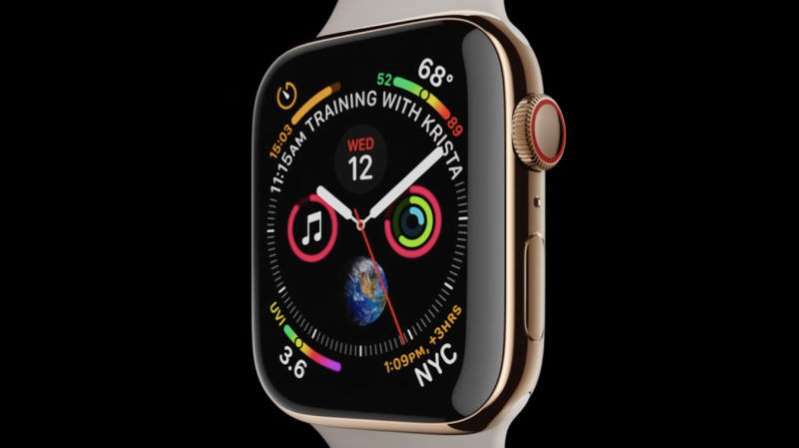 What's new: Apple has increased the amount of info you can pull in on the display and they've significantly upgraded the health tracking capabilities. The face is slightly bigger but remains a square, minimalist model. The OLED display is larger to capitalize on the slightly larger and thinner case size. This is just awesome. Apple continues to pitch Apple Watch as a health tool. The Series 4 has upgraded heart monitoring hardware to provide electrocardiograms showing the electrical activity of the user's heart even during vigorous exercise. This can document for treatment abnormal heart rhythms and other conditions that can lead to a heart attack and possibly prevent it. This is the first Apple Watch to go to a 64-bit operating system with a new dual-core S4 processor that should make it easier to upload and switch apps. Also, the speaker has been upgraded and a brand new gyroscope and motion detecting hardware, that can sound an alert if you fall, are included.